At Pittsburgh Fresh, we believe that convenience and healthy eating go hand in hand. We know what it means to have a busy lifestyle that leaves you with little time to shop for, prepare and cook fresh, nutritious meals. 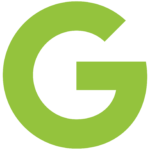 That’s why we launched our company: to make mealtime easy, healthy and enjoyable. Our Pittsburgh-based team of chefs and delivery drivers are all passionate about providing you with healthy, delicious meals that meet all of your dietary needs and delight your taste buds. And you can rely on us to carry our philosophy of convenience and healthy eating through to everything we do – from delivering meals that are ready to heat and eat to catering special events and providing quick bites for when you’re on the go. 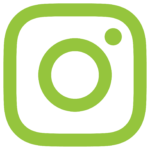 If you’re looking for a local company committed to convenience and healthy eating, look no further than Pittsburgh Fresh. 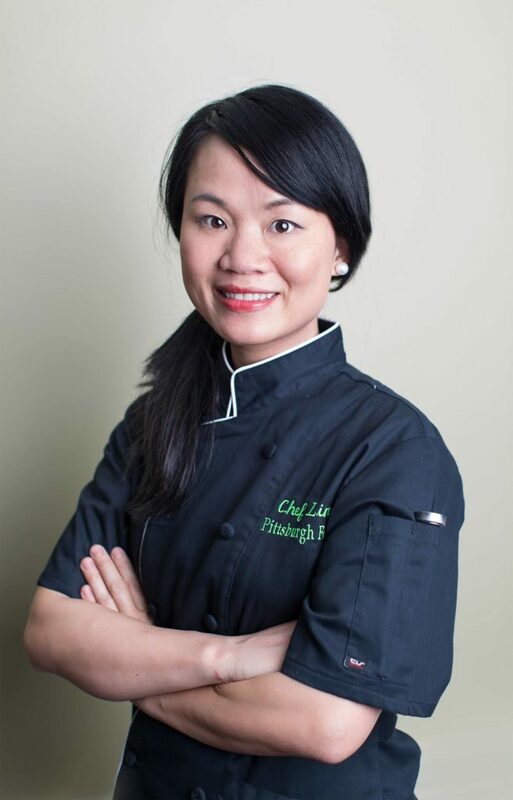 Ling is the Founder and Head Chef of Pittsburgh Fresh. 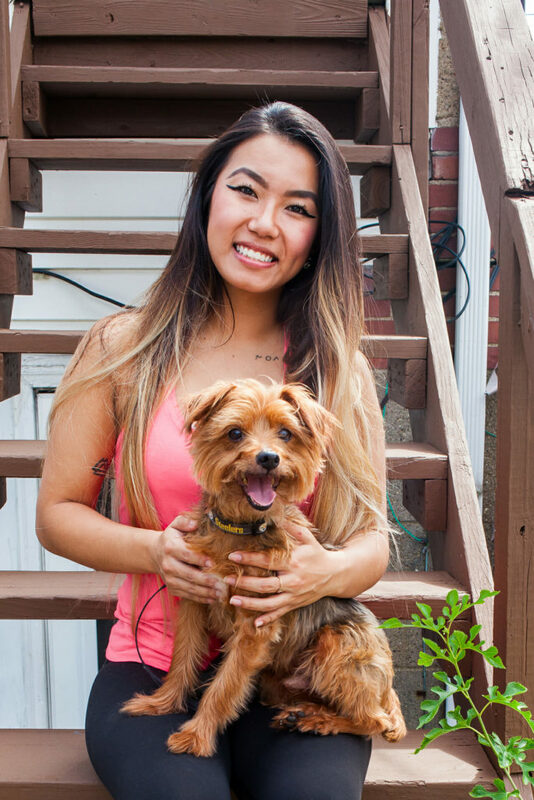 Growing up in her mother’s kitchen, Ling learned from a young age that cooking with fresh, healthy ingredients results in meals that are not only nutritious, but also delicious and satisfying. 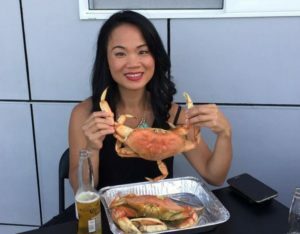 After graduating from Penn State University and embarking on a career as a financial analyst, Ling was committed to packing healthy lunches. She often saw her colleagues – who were busy and had little time to prepare fresh, nutritious lunches – resort to eating fast food or greasy, calorie-ridden takeout. Many would remark to her: “Your lunches always look so healthy. 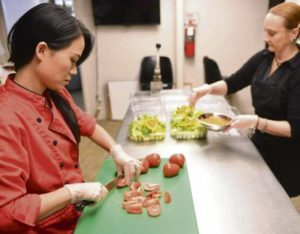 I’d pay you to make my lunch!” With those words, Ling began a new career, one that would dovetail her passion for healthy cooking with helping others to eat nutritious, fresh meals. She went on to graduate from the Culinary Art Program at the Art Institute of Pittsburgh and launch Pittsburgh Fresh. Today, Ling and her team of local chefs and delivery drivers are committed to bringing fresh, healthy, ready to heat and eat meals right to your doorstep. 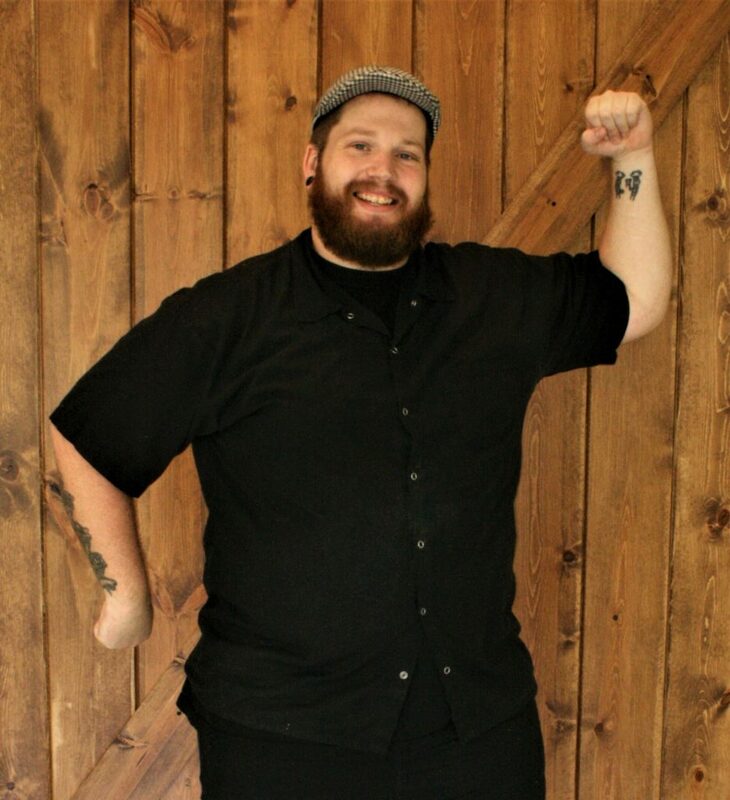 Chef Tony was born and raised in the Pittsburgh area and is a graduate of the Pennsylvania Institute of Culinary Arts. After working at several restaurants around Pittsburgh, he ventured into catering and took over operations at Banquets Unlimited. He was eventually offered the position of Executive Banquet Chef at Snowshoe Mountain Resort and moved to West Virginia. Being a Pittsburgh boy at heart, after seven years he moved back to the area and became Executive Chef of the former Wrights Seafood. After a stint as Sous Chef at the Hilton Garden Inn, he decided to follow his true calling and join the Pittsburgh Fresh team! 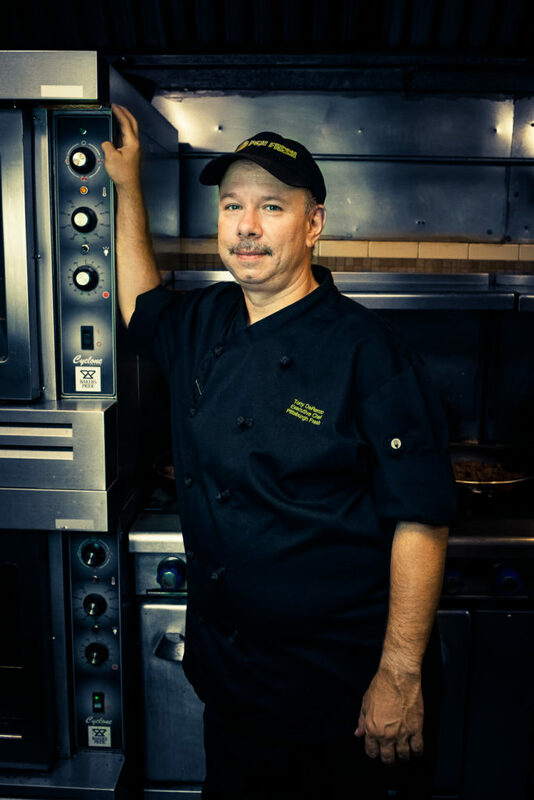 Chef Tony has an unequaled passion for cooking and a great devotion to quality. He enjoys going to local farmer’s markets to get the best produce and spends endless amounts of time perfecting his craft. In his spare time, he enjoys fishing, hiking, camping and anything that involves being outdoors. "The biggest thing Pittsburgh Fresh does for me is simplify everything by taking food out of the equation. Having quick, balance, GREAT TASTING meals at my finger tips makes everyday easier." "Pittsburgh Fresh catered our party for 30 people at our home last week. I couldn't be happier! Every time I called to talk to the owner, the phone was picked up immediately and all of my questions were answered. The food was delicious, and many people asked me for their contact information. Delivery was on time, and everything went like clockwork. I would definitely use Pittsburgh Fresh again." "I submitted an information request on a Sunday afternoon, and I was contacted within an hour. I recognized that as someone who wants my business. The owner, Ling, was professional and personable. Her follow-up was outstanding. She and her team arrived on time; were quick and efficient. The display was perfect and the food was delicious. Couldn't have asked for anything more. 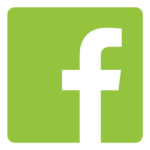 I recommend Pittburgh Fresh and I would use them again." "I was recommended to Pittsburgh Fresh by a friend who enjoys your food.. I decide to try them as I don't cook much anymore and wanted to have a balanced meal. What I found is very good food that is well spiced. The portion sizes are very generous with the calories well marked for the entrée and the additional side if requested. The selection each week is varied and and I enjoy deciding what to order...now that I have been getting this service for many months I look forward to finding my favorites on the list... I'm very pleased and I know I'm getting good protein and my veggies... I don't have a problem finding carbs." "Wow - YOU GUYS ROCK. Last week was my first and you blew us away. Priced less than a lunch out with tip and so much yummier and healthier. Nice work and THANK YOU." "We are in love with Pittsburgh Fresh! After a long day at work and a hard workout at the gym, the last thing I want to do is take 30 minutes to an hour to cook a healthy meal. When we get home, we simply pop them in the microwave for a few minutes and we eat! They are incredibly healthy and fit into our "paleo-ish" lifestyle. The meals taste better than anything I could ever cook! To top it all off, our cholesterol has gone down since starting Pittsburgh Fresh. I have only great things to say, it's been a game-changer!" 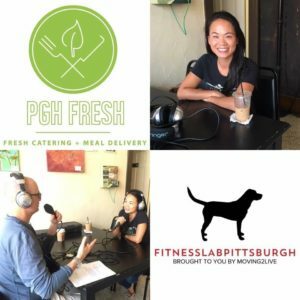 FitLabPgh sits down with Ling Wollenschlaeger for a one-to-one interview. 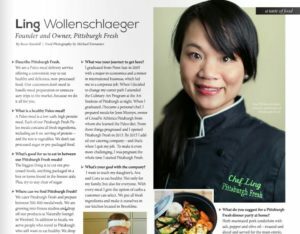 Taste412 sits down with Ling Wollenschlaeger for a one-to-one on her meal delivery service focused on Paleo and healthy meal options, her journey to being a chef, her beautiful daughters, and her suggestions for the perfect dinner party at home. 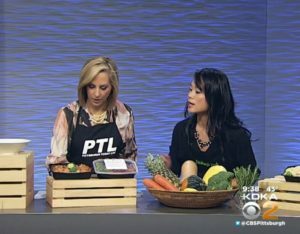 Chef Ling Wollenschlaeger stops by to talk about Pittsburgh Fresh and the Paleo Diet!